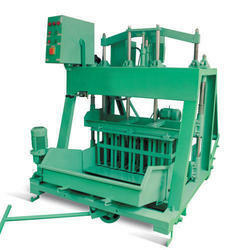 We are manufacturing cement brick/block machine. Keeping in mind ever-evolving requirements of our respected clients, we are offering a premium quality array of Fly Ash Bricks Plant. 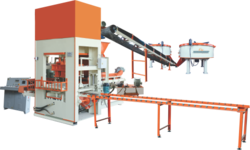 "Endeavour-i " is leading engineering company engage in Design, Manufacturing, Supplying & Servicing of Automatic Fly Ash Bricks Plants, Automatic Concrete Blocks Plants AAC(Aerated Autoclaved Concrete) etc. We are producing Best Quality Fly Ash Bricks & Concrete Blocks with Automatic Fly Ash Bricks Plant. ENDEAVOUR INTELLIGENT EQUIPMENTS PRIVATE LIMITED (ENDEAVOUR-i) is mainly engaged in Design, Manufacturing, Supply & servicing of Automatic Fly Ash Bricks Plants, Automatic Concrete Blocks Plants, Concrete Pavers Blocks Machinery & Automatic Material Batching, Feeding, Mixing Equipments.